The beaches in the United States are an ideal place to spend your vacation. The sandy shores of America displays just more than golden bodies slimmering on the beaches. They are complete with water sports, adventure rides and lots more. 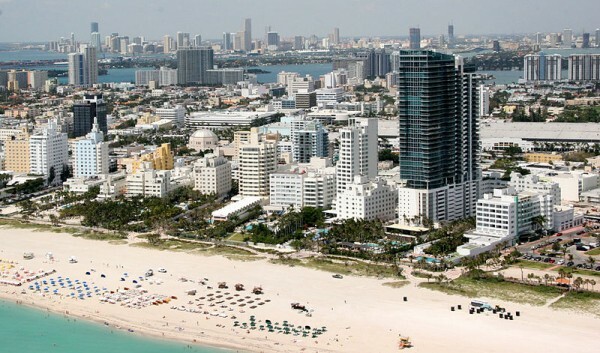 South Beach in Miami, is a very popular one. It is also nicknamed as “SoBe”. “Beautiful weather, beautiful places and beautiful people”. The best nightclubs, restaurants, boutiques and hotels are here. This place is popular among tourists visiting from different parts of the country or the world. Also, this place is very famous among the LGBT population and most of the LGBT marriages now take place in South Beach. You can also get to spot some of your favorite stars here. The hollywood movie “Crew” was shot here, which starred Richard Dreyfuss and Burt Reynolds. The Flamingo Park at the South Beach is an important tourist destination. This is one of South Beach’s public parks and has features amazing nightlife. Espanola Way Historic District is also another place in South Beach which is a famous place among the celebs who reside in Miami. Collins Park follows the league. It is an upcoming park in South Beach. The Ocean Drive on the beach is an amazing place where you can spend a romantic evening with your loved one. For shopping the best place would be the Flea Market. South Beach has some amazing restaurants which have great seafood. The most popular ones are lobsters, prawns, squids and sea fish. Other than that, you could also head to the seaworld, which is located 23 miles from the South Beach. You can enjoy some time watching the dolphins and the whales display a show. Lincoln Road in South Beach is an open air pedestrian mall which is considered to be a great place among the younger generation living in South Beach. Taking into consideration that South Beach is a happening tourist area there are many nightclubs and pubs here. Thereare more than 150 clubs in the area and most of them close down at 5 a.m. The Cleavelander and the Mac’s Club Deuce are the important places where tourists love to visit. The Venetian Causeway is another important destination in South Beach. It is also a famous shopping area among the tourists who love branded clothes and other stuff. There are resorts in the area that you could opt for to stay. Most of them have great scenic view of the beach. The next best destination in South Beach is the downtown. You can have an amazing time at the downtown, which is formerly the beach in South Park.